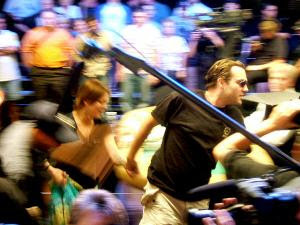 I was privileged to be invited to blog some of the events at the 2006 World Series of Poker for PokerPages.com. Go to PokerPages.com to read more (links above). Congratulations to Spiros Mitrokostas for his first WSOP final table. Does anyone wish to accept a friendly wager that it will not be his last? Go to PokerPages.com to read more (link above).